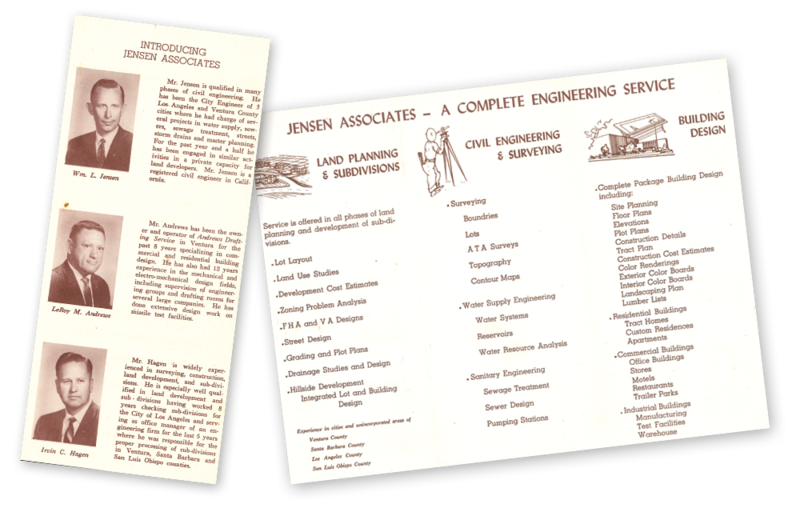 About Us - Jensen Design & Survey, Inc.
Look no further than our clients as testimony of our success and our status as a local leader. Over 90% of our clients are returning customers or word-of-mouth referrals. From the inception of our company, we discovered a full-service firm was a client’s greatest asset for project quality and efficiency. Today, the same rings ever-true as clients find our comprehensive abilities indispensable and invaluable as greater demands are required of projects in way of design, environmental compliance, planning, permitting and construction. With our multi-disciplined firm located under one roof in Ventura, California, we can provide clients seamless project development – from concept to construction. 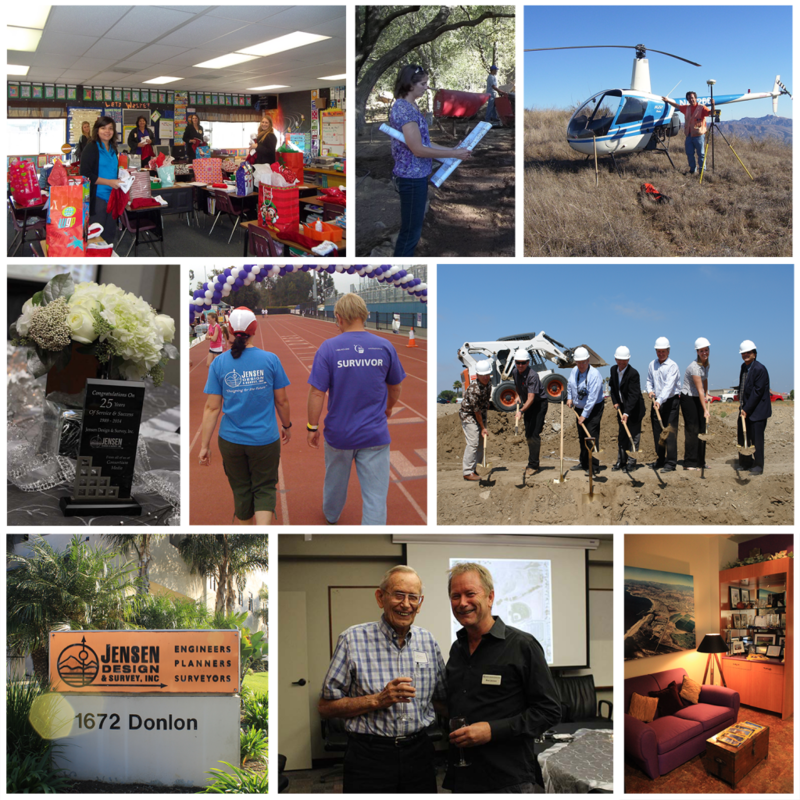 Founded in 1989 by Donald Jensen PE, Jensen Design & Survey, Inc. is the largest engineering firm headquartered in Ventura County. Prior to 1989, the Jensen name had already built a great reputation in the Ventura area – Bill Jensen, Don’s father, ran an engineering firm in Ventura from 1961-1997. Don Jensen’s background includes a Master’s Degree in Civil Engineering from the University of Alaska, as well as work experience as a civil engineer in the state of Alaska. These vast experiences, combined with the local-area name recognition, have allowed Jensen Design & Survey, Inc. to become the premier leader of civil engineering services in the Ventura County area. In addition, Don’s wife, Lynn Gray (a Registered Geologist) assists the company and operates as Chief Financial Officer. Originally a small handful of people, the Jensen team has now grown to over forty educated and experienced professionals. We are proud of our staff and the wide range of expert services that we are able to provide. 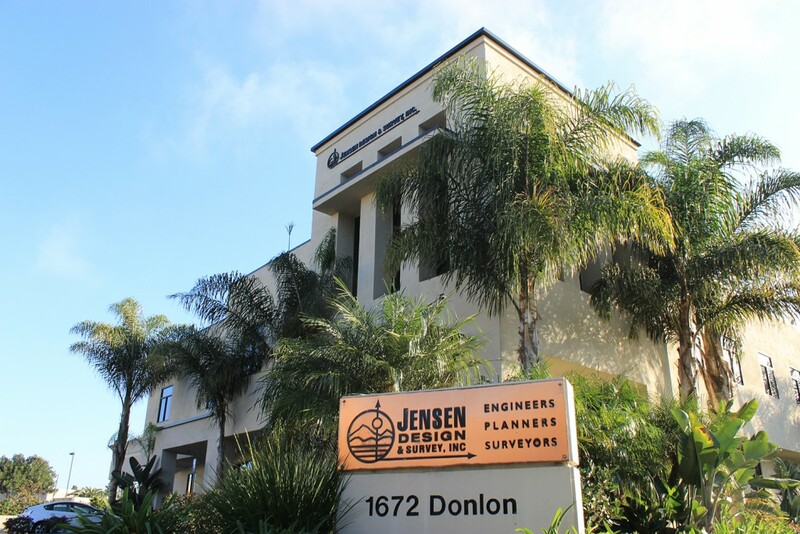 Jensen Design and Survey, Inc. is committed to being the leader in civil engineering, surveying, planning and construction management, providing professional state-of-the-art services, a commitment to excellence, and timely responsiveness. To provide services that improve the local quality of life, facilitate business and enhance infrastructure using sustainable design, while maintaining environmental awareness. To be a leader in “state of the art” civil design and surveying. To be the major provider of customized design and planning services. To be the most responsive and user friendly civil design and survey company. To be timely in meeting customer needs. To be the employer of choice by providing superior opportunities for employees in this industry. To have integrity, accountability, and accuracy as a civil design/survey provider. To always consider the sustainable effects of our improvement on the environment. We will carefully listen to you. We promise reliability, accountability, and accessibility. We will treat your project as if it were our own. We will make every effort to meet or exceed your deadlines and expectations. We will work toward your 100% satisfaction.